As most of you know I live in Chandler, AZ or as some know the Sonoran Desert (it isn’t like Seattle or England). 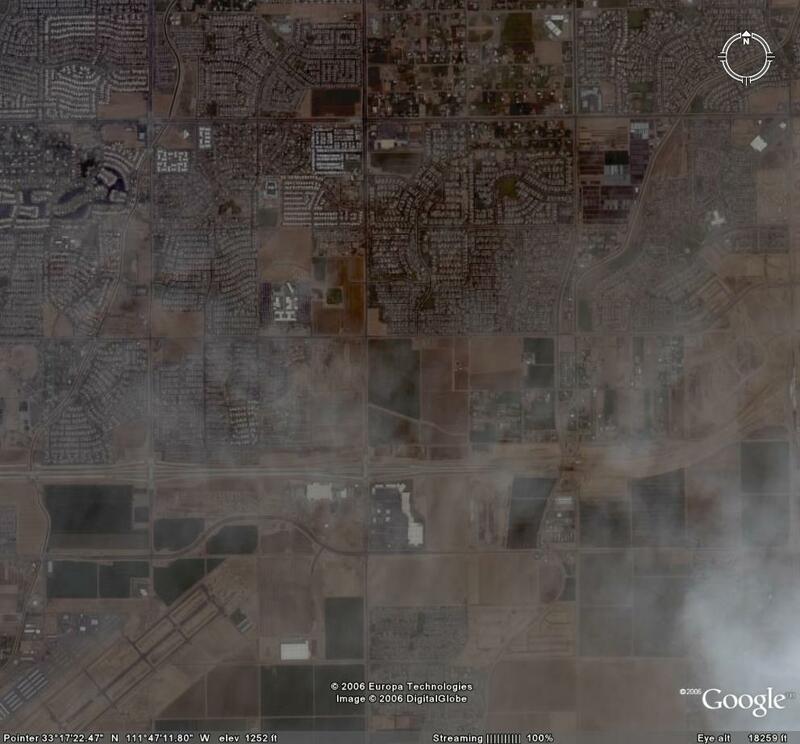 There has been one constant though in the imagery that Google has provided since Google Maps and Google Earth arrived, a cloud either over or near my house. To hit clouds once over my house is possible, I’ll give you that. But to hit clouds every time (at least 3 updates that I recall) is amazing. Someone needs to start playing roulette!